If you’re looking for a secret location to hide a special gift, take a tour of our interactive house. 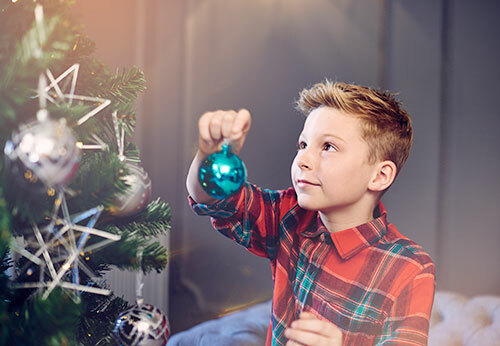 Discover those popular sneaky spots, along with other hints and tips to make your little moments special this Christmas. Why not use a decoy gift to put present-hunters off the scent, like 17% of us in the UK traditionally do? Half-heartedly hide a pretend present on the bookshelf. Even though only 4% of women say they stash luxury watches in a coat pocket, we think that’s 4% too many! It’s probably better to look for a safer place to hide them. Believe it or not, some of us hide presents in our pet's bed! We would recommend keeping gifts out of Rex's reach. More than a third of us look for presents before the 25th, so make sure yours are well hidden. 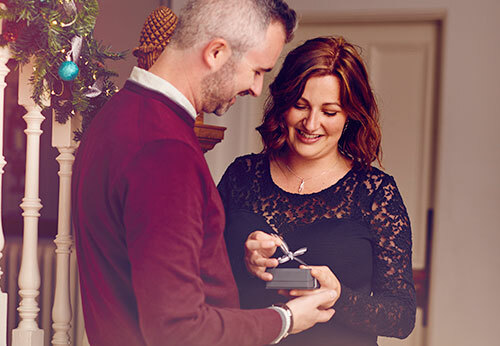 82% of us love a surprise present from their other half - so don't give the game away by leaving evidence like a shopping bag around the house. 20% of people start Christmas shopping in December, but preparing earlier means less stress. So get planning! 'Tis the season of generosity, which is why 75% of us say that giving a present is the best thing about Christmas. We couldn't agree more. 1 in 6 men spend up to an hour trying to find the perfect hiding spot, but it's all worth it in the end! The most popular hiding place for a special gift like an engagement ring is a suitcase. Make sure it's locked and out of reach! 14% of us have found a gift in the laundry basket! Probably not the wisest place to keep that special present. 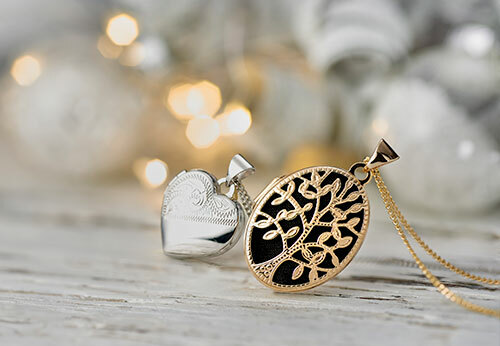 Naturally we worry about our partner discovering a jewellery gift before the big day, so make sure you have a good hiding spot - preferably with a lock! A chest of drawers could be the answer. The wardrobe is the most popular spot to hide a surprise gift, with 49% hiding presents here. It might be worth finding another spot away from prying eyes. Under the bed is the gift-hiding spot of choice for 1 in 6 men - just make sure you cover them with your belongings. Use private mode or clear your history when browsing for presents online - 10% of men look at their partner's browsing history to discover what Santa has in store for them. Found the perfect gift for a loved one? Here’s how to keep it a surprise until the big day. We asked the people of Britain to share their Christmas shopping, wrapping and hiding habits. Whoever you’re buying for, we’ve got the perfect presents. Our favourite Christmas traditions that we wouldn’t change for the world. Our Christmas inspiration, tips and advice all in one place for you.